This is truly a rare opportunity to join one of Australia’s largest Building Product Manufacturers and Retailers. Trading for over 50 years internationally, they have developed a reputation of supplying quality products, along with exceptional service and ongoing customer support. This company possesses a winning culture, with extended tenure and a history of promoting from within. Continuing on their current growth path, as Territory Manager, you will play a fundamental role ensuring their ongoing success. 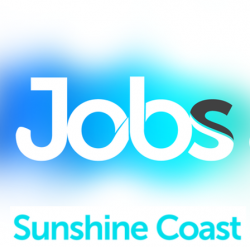 In this role, your territory will stretch between Caboolture and Gympie, so as such you will be based on the Sunshine Coast. Looking after Trade customers exclusively, 40% of your time will be spent maximizing share of wallet with existing customers. Another 40% will be spent on growing your customer base and the remaining 20% will be spent looking after administration related tasks and pulling tender documents together. You’ve been in the Construction or Building industry for most of your working career. Therefore you know how to deal with Project Managers, Site Supervisors, Builders and Procurement teams. Experienced in sales, you have a natural competitive streak, and consider yourself to be a target driven “hunter”. Previous colleagues describe you as a strategic thinker who is not afraid of getting your hands dirty. This is a company that is renowned for attracting the best in the industry and rewarding them accordingly. A base salary of $80K-$90K, plus superannuation, fully maintained company vehicle and highly lucrative bonus structure is on offer for the right person. Additional training and career development will only be limited to your own imagination and desire. Due to the rapid growth and expansion they are currently experiencing, you also be exposed to opportunities for further career advancement on an ongoing basis. Sounds like the next step in your career? Then simply apply or call Sally van der Merwe on 0430 039 625 for a confidential conversation. Job Categories: Construction. Job Types: Full-Time. Occupation: Managers.